It still blows me away that people can and do ski all of the way into June, or even July with big years, in Wyoming. I also think back to when I was a young mind in Ohio and how this life wasn't even in my realm of contemplation. But look at me now, suffering skiing in June! 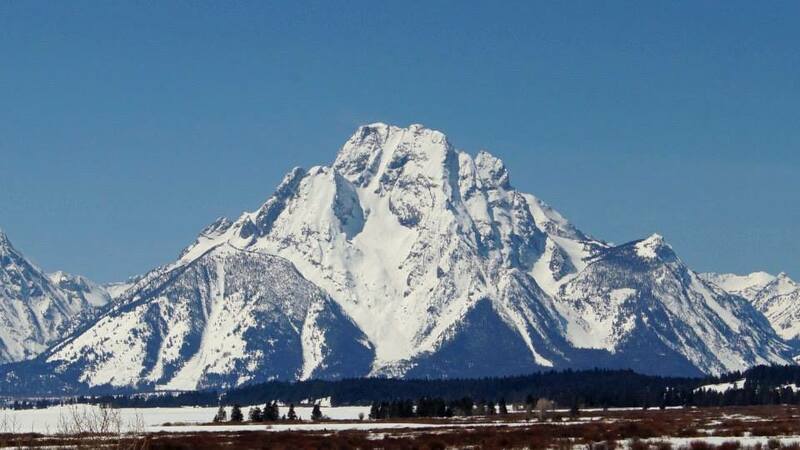 Mt Moran has many prominent and classic lines on all aspects. I have had the Skillet Glacier, a 5000' vertical, in mind for a bit because it stares at you the entire time you drive around on the north side of the park road. Of course, like many before me and I'm sure many after me, I had to ski it. We planned this overnight-canoe-over-Jackson-Lake-ski-trip on a Wednesday and got geared up to leave on Saturday morning. What we didn't do, or rather I didn't, was figure out how I'm strapping a canoe to my car or what permits I need, especially for the boat. We planned on canoeing over at 1:00pm-ish, set up camp and ski at 1:00am. After getting the permits, inspections, yada yada we hit the lake shore at 4:30pm. A solid start so far. Fortunately, we only had a 2 hour paddle from Spalding Bay to the lake shore of Moran. After being eaten alive by mosquitoes at the shore we quickly realized that we would need to get above treeline to establish any kind of camp. Also with our rationale, or irrational dependent on who you ask, we didn't want to be camping in thick brush because of "many grizzly signs in that area". So we hiked or should I say bushwhacked through thick brush and down trees. After all of the talk I have heard of how bad the bushwhack is, I have to say, wasn't that bad. The mosquitoes on the other hand was the top 5 worst life experiences. I would look behind me and there was a swarm of skeeters piercing my thick mid layer. After an hour and a half we finally reached the foot of Moran and found a great spot to camp. On an exposed-to-the-wind rock. A great place for bugs not to be. The next morning we woke up at 1:00am and headed up the couloir, boot packing in crampons the entire way. It was certainly one of the longer and tougher days I've had. Bootpacking 5000' is just arduous and a little monotonous - a tough thing to stay motivated for. Around 7:30am we summited the actual summit, took photos, transitioned and headed down the mountain. After packing and bushwhacking again we made it back to the shore, loaded up the canoe as fast as we could and shoved off. Those beers that we saved for the canoe trip back across Jackson Lake tasted so sweet and so perfect - capping a great winter in the Tetons because I think I am hanging it up after this one until it snows again in October.